Since 2003, the Jennings Real Estate Team has proudly built their career, one satisfied client at a time. Bill and Traci’s unrelenting work ethic, their thorough knowledge of the marketplace and integrity have earned them numerous awards and more importantly, an impeccable reputation in the industry. Building relationships is what makes their job so enjoyable. Providing the very best service is essentially about putting their clients first. Nearly 70% of Bill and Traci’s business comes from repeat clients or referrals from satisfied clients. As real estate professionals, Bill and Traci bring a “WOW” factor to buyers and sellers who’ve come to know their high standards of service. Their in-depth community and savvy market knowledge, effective negotiation skills and a high-quality professional network are the hallmarks of how they work. Clients can count on the Jennings Real Estate Team for seamless assistance on determining the right strategy for their home purchase or sale. TRACI JENNINGS - Traci attributes her teamwork mentality and strong work ethic to being raised on a large dairy farm in Eastern Iowa. Later graduating from Iowa State University, she met her husband Bill and has since made the Ames area her home. 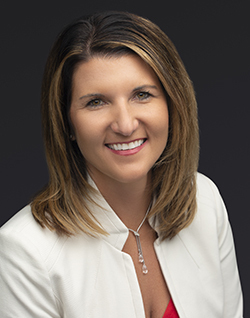 By making an industry leap to real estate from printing sales in 2007, Traci found it to be an easy transition joining her husband in the real estate business. In 2010, Traci received her Real Estate brokerage license and now owns the Ames REMAX brokerage with her husband, Bill. Traci has consistently been one of the top REALTORS in Story County since she began selling real estate and whether it’s a fun challenge or a serious hurdle, Traci takes charge and goes beyond expectations no matter what. Traci epitomizes integrity, energy, hard work, and creative service in every detail of her clients’ real estate transaction. An enthusiastic parent of 3 children (Elli, Abby and Jake), Traci enjoys gardening, scrapbooking and cheering on the Cyclones. She is grateful to those who entrust her in their next move and looks forward to showing clients the best that Ames has to offer! Bought and sold a Single Family home in 2018 for approximately $300K in Ames, IA. We bought and -four year later- sold our home with Traci. I would say her main traits are being upbeat, receptive and patient (with customer's crazy ideas). Selling our home was quite a zen process. We were sort of in a rush. We did what she told us, and then the house was gone within a month despite not being in the hottest market at the time. Could we have gone lucky? Probably, but undeniably she went the extra mile working for our well-being. Enough to say, she helped us get rid of heavy furniture we left behind after we moved out of town in a rush for my new job. A positive person to work with and a positive experience! Bought and sold a Single Family home in 2019 in Ames, IA. Bill & Traci were fantastic in selling my house back in 2012, so when my Mom decided to move to the Ames area, it was only logical to use the Jennings Team. Not only are they locally knowledgeable, they are constantly going to seminars to increase their knowledge base. I feel that Traci really understands my Mom’s needs, wants and timeframe and is absolutely a joy to deal with. Straightforward, honest and caring is how I would sum up the Jennings Real Estate Team! Bought a Single Family home in 2011 in Story City, IA. The Jennings team was very helpful in finding the right house for our family. They were very responsive and helpful in the purchasing process. They made it easy. We would recommend the Jennings team for your real estate needs. Sold a Single Family home in 2014 for approximately $225K in Ames, IA. Traci has helped us with purchasing, selling, and building a new home! She does a great job with communication and keeping her clients in the loop throughout the whole process. Traci has a great connections in the business that have given us great service throughout all three processes. We will continue to use the Jennings Team for any of our real estate needs! Sold a Single Family home in 2018 for approximately $275K in Roland, IA. Bill and Traci did exactly what I asked of them. Sold my house at a price I was satisfied with. Had a couple communication issues at the start of the process. But once past that, everything went great. Hired someone to take awesome pictures of my property which made the house "pop". Advertised it on social media. Wasn't afraid to offer alternate opinions to my own. Smooth closing process and working with the buyer to make sure each of our needs were met. I would certainly work with them again. Bought a home in 2019 in Kelley, IA 50134. We met Traci about 8 months prior to purchasing our land. At the time, we had an extremely specific search criteria. Traci was beyond accommodating with all of our questions and needs. She was willing to give her honest opinion whenever we asked, anything from pricing to how rezoning works, it was very evident that she has years of experience in this field. We found the perfect land a few days before Christmas. Traci was even willing to work on the holiday if that was what we needed. Loved our experience with Traci, highly recommended. Bought a Single Family home in 2018 for approximately $500K in Ames, IA. I highly recommend Traci Jennings to help with any real estate needs. She is friendly and extremely knowledgable and was willing to answer all of our questions in a prompt manner. We were anxious to go through the home buying process but she made the experience low stress and was with us every step of the way. If we ever need to buy or sell a home again, we will without a doubt use the Jennings team! Bought and sold a Single Family home in 2018 for approximately $450K in Ames, IA. Traci was excellent in helping us through being first time home sellers and first time home builders. Her vast knowledge and experience put us at ease every step of the process. We give her and the entire team at Jennings Real Estate our highest recommendation. Bought and sold a Single Family home in 2015 for approximately $325K in Ames, IA. We found out that we were moving to Ames, Iowa and Traci was highly recommended by another military family in the area. We headed out to Iowa for a weekend to look for homes with Traci and she spent the entire weekend helping us. Unfortunately, we didn't leave with an accepted offer, but Traci told us that she would continue looking while we were still out of state. She ended up calling us shortly after we were back home and said that she found a house, but we needed to offer soon in order to get the home. We trusted Traci and her experience/knowledge and put an offer on a home that we only saw in pictures. We were very happy with the home and the neighborhood that she found us! It was located in Northern Ames and our children went to Gilbert schools. A few years later when we needed to move again, Traci was able to sell our home within weeks! She is an amazing agent and person and she made both transactions smooth and without stress. We appreciate everything she did for us and would definitely recommend her to anyone needing to buy or sell a home in the area! Sold a Single Family home in 2018 for approximately $150K in Boone, IA. Traci helped us through the entire home selling process. She was always honest and answered any questions that we had! She has a great personality and we felt they did a phenomenal job, she helped make the process so easy!